Our dishes can be supplied fresh or frozen and are retail ready, have a 10 day shelf life (fresh) or 12 months (frozen). All are Gluten Free and we use local British free range chicken and lamb. We have 9 delicious dishes- 3 meat, 6 vegetarian of which 5 are Vegan, each is cooked using traditional recipes inspired by the Gujarat region of India. Cooked in Somerset, all Bini ready meals are inspired by family recipes and skills taught by her mother and aunties. Taste of the West Champion Product 2017 - Chicken Classic Curry - Authentic complex dish with just the right amount of heat. You just have to keep going back for more' - Judges comments. Authentic Cuisine - What makes Bini curries different? Every dish has a unique combination of spices. No one curry tastes the same. 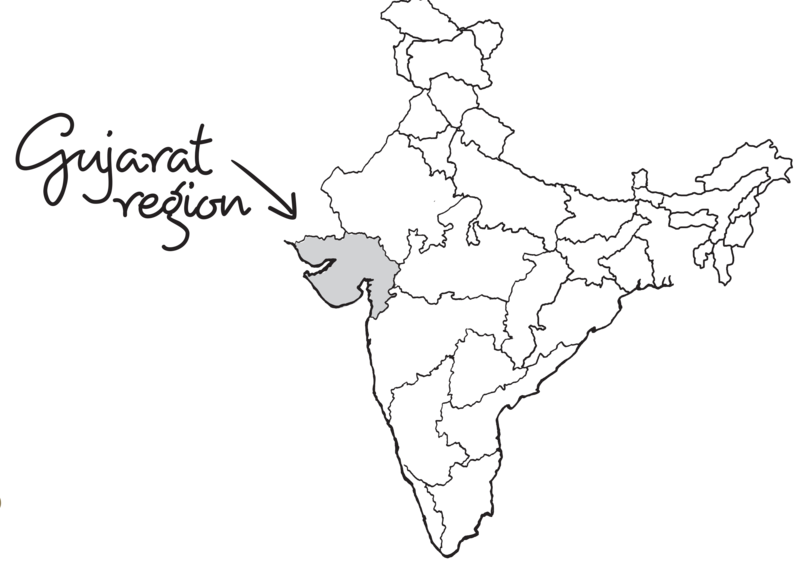 They reflect different regions of India, from the Gujarat state famous for its complex yet subtle spicing, to Southern Indian cuisine with the use of coconut milk, coconut oil and aromatic curry leaf and the robust spicing of Northern India. All the regions use spices in their own distinctive way. 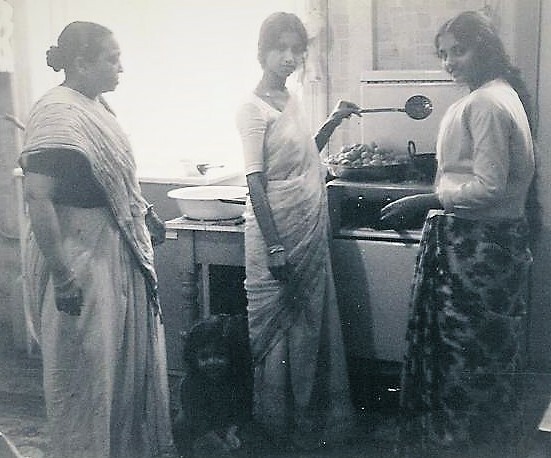 The recipes are traditional to home cooked Indian dishes, quality ingredients and are hand made in small batches to ensure the flavours and textures are true to the authentic Indian home cooked experience. Many customers have said that the dishes are a true reflection of their experiences found in the villages of India. It is the authentic taste. 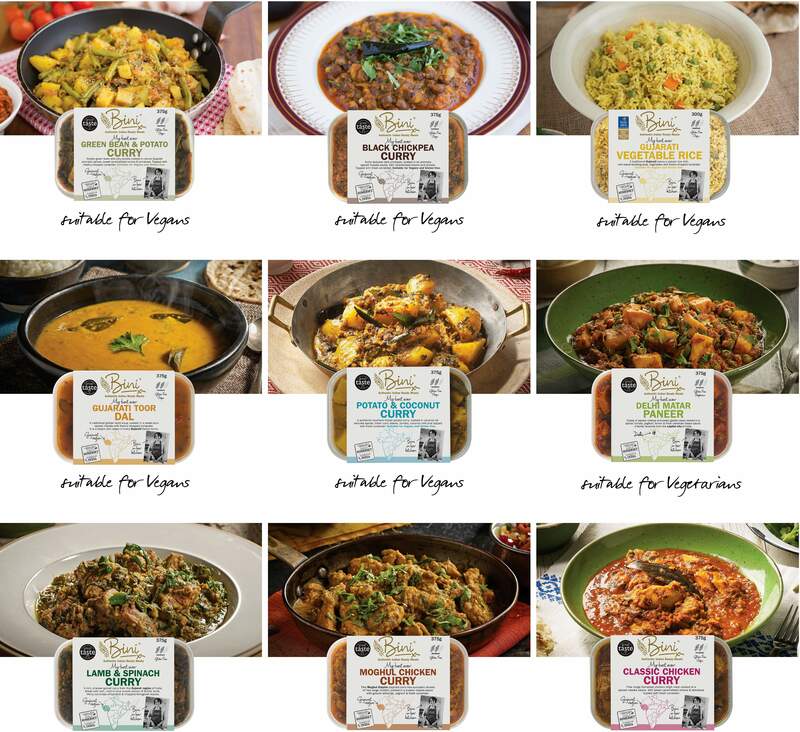 To find out more, click on the OUR CURRIES below to view the full range. to bring to life quite exceptional Indian meals with Bini's Moghul Chicken Curry, Gujarati Toor Dal or the Lamb and Spinach curry amongst others. 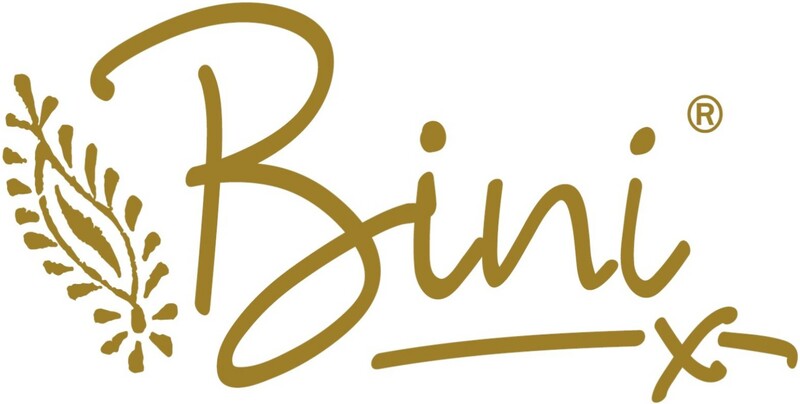 We are convinced Bini's cooking is right up there with the finest Indian restaurants in the UK. Bini's care and support in her supply relationship with us is deeply appreciated by the whole team here at fresh range"